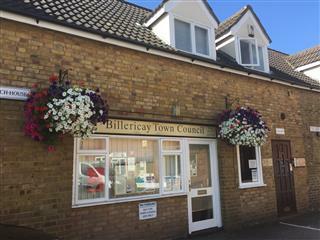 With over 12,900 dwellings Billericay Town Council is one of the larger 'parish' councils in England. We work with Basildon Borough Council and Essex County Council to provide and enhance services and facilities within the Town Council area. The Town Council has 20 members who are elected every four years. Each year the Council elects a Chairman for the civic year who chairs Council Meetings and attends functions on behalf of the Council. Billericay Town Council meets approximately every six weeks throughout the year and has three Standing Committees, Environment and Finance & General Purposes which meet on a similar frequency and Planning which meets fortnightly. All of these meetings are open to the public and are held at our office in crown yard. We also have various working parties which meet from time to time, to deal with specific issues and projects, which then report back to their sponsoring Committee for ratification purposes. Billericay Town Council does not cover the whole of the urban area of Billericay as South Green and Great Burstead have their own Parish Council. To see the Town Council area click here.